The beauty of Newport Beach isn’t in its tourist destinations, but rather in the everyday, sunny, SoCal quality of life for its residents. Throughout my many visits, I’ve made it my mission to discover the best way to experience Newport Beach like a local. 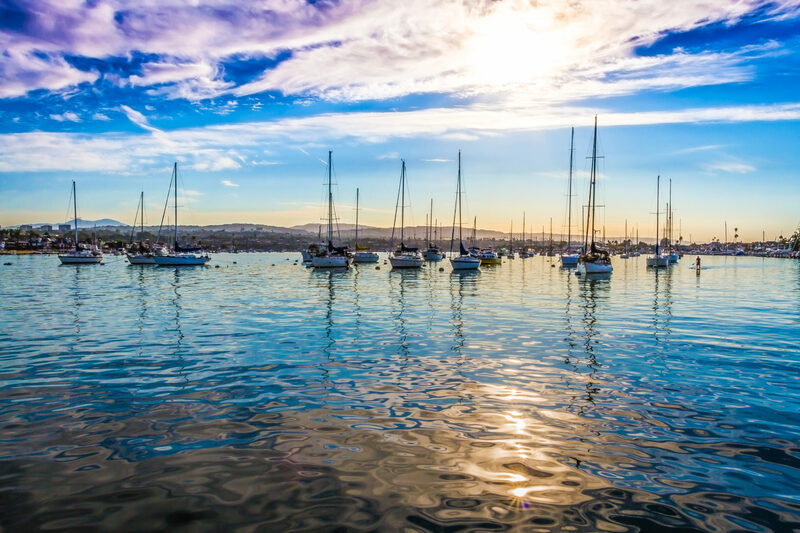 From the beautiful beaches to the pristine piers to the marvelous marinas, Newport Beach is an oasis for those who love spending time outdoors. Locals constantly take advantage of the year-round good weather, and surfing is the main sport of choice. From novices to pros, you’ll always find the water packed with surfers, especially in the early morning. If you’re looking to ride the swell or just watch, The Wedge, which is known for its large waves, is definitely the best beach to visit in the area. While hanging out at the beach, you’ll also catch Newport Beach residents experiencing another favorite activity: paddleboarding. If you’re visiting and don’t have your own gear, there are various shops along the beach where you can rent equipment. Will you find me surfing and paddleboarding? Probably not. I’m more of a spectator when it comes to water sports. But for people who would prefer to stay dry, like yours truly, Newport Beach has a ton of other outdoor activities. I personally love to bike along the Newport Balboa Bike Trail. With an amazing view of the ocean, you can’t find a better place to break a sweat and take in the sights. Thankfully, there are also plenty of places to fuel up and grab food along the way. I like Ruby’s Diner at the end of the Balboa Pier and Seaside Bakery, a Newport Beach institution with to-die-for donuts. Boating is another popular outdoor activity among locals. I always see residents in the marinas taking their boats out for a fun day in the harbor. But that raises the question: How can you act like a local if you don’t own a boat? Don’t worry — for those of us who are yacht-less, boat rentals are available for as little as $75 an hour. 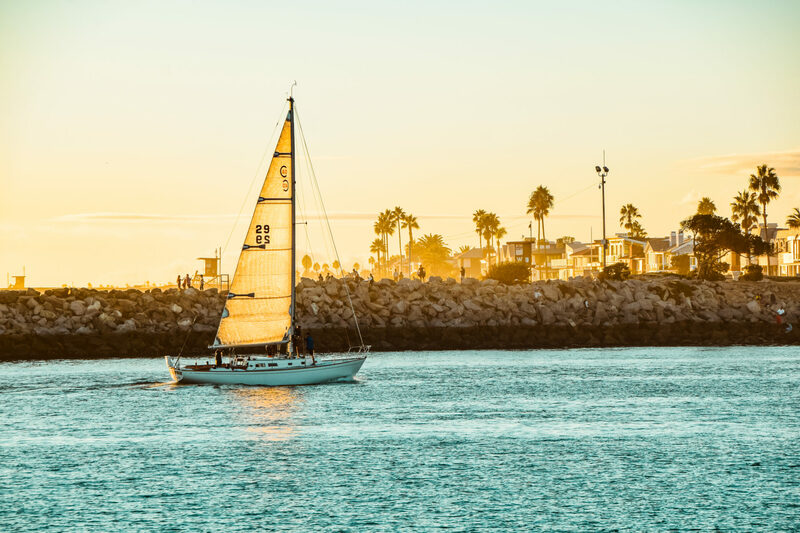 Newport Beach is the perfect place to visit year round! That said, it’s best to make reservations for boat rentals and fine dining during high season, from May to September. While I do love soaking up the sun, I also burn easily — so it’s not always the smartest move for me to be outside all day. Fortunately, Newport Beach offers a lot more than sunshine! Malls and stores are aplenty in this town. There’s even an area called Fashion Island. And while it’s not a mall on a literal island, as my 16-year-old self had fantasized, it’s still an awesome place to shop. You can explore a variety of stores, from Halston Heritage to Talia, along with dining options ranging from Lemonade to Five Guys. I always have a wonderful shopping experience there in the cool indoor air alongside Newport Beach locals. Another way to beat the heat like a local is to visit the Orange County Museum of Art. Ed Ruscha, Andy Warhol and David Hockney are just few of the artists with work on display here. This museum is the perfect place to wind down after a day in the sun. And seriously, the artwork inside is as beautiful as the scenery outdoors. Use the ParkMobile app to make parking in Newport Beach super easy! As a coffee addict, my absolute favorite place in The OC is Kit Coffee. Situated in a more residential area of Newport Beach, this modern, sleek café teems with customers getting their caffeine fix. There’s also a large outdoor patio where locals meet up with friends or type away on their laptops. Kit has ample room to spread out, which is great for squeezing in some work. Or in my case, pretending to work while actually checking social media — oops! When I’m craving more than coffee, I head over to Balboa Lily’s. This surfer’s hangout is located right on the main drag of the Balboa Peninsula and features delicious breakfast and lunch food. I especially like the breakfast bowl, which you can customize to your tastes! Make sure to sit outside so you can feel the cool ocean air while dining al fresco. 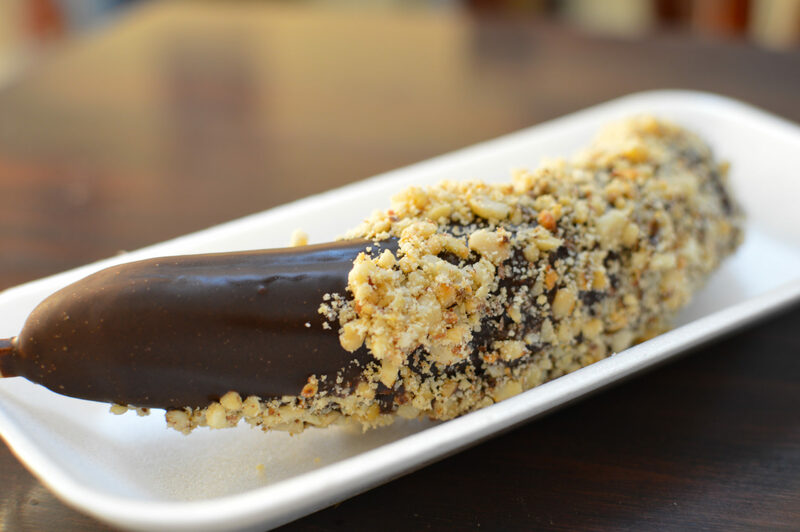 And of course a visit to Newport Beach isn’t complete without eating a frozen banana, a local staple. Various stands are located all over the city, so it’s easy to get your hands on this tasty treat. Whenever I’m in town, I make it a point to grab a frozen banana and then hop on the Ferris Wheel in Balboa Village. 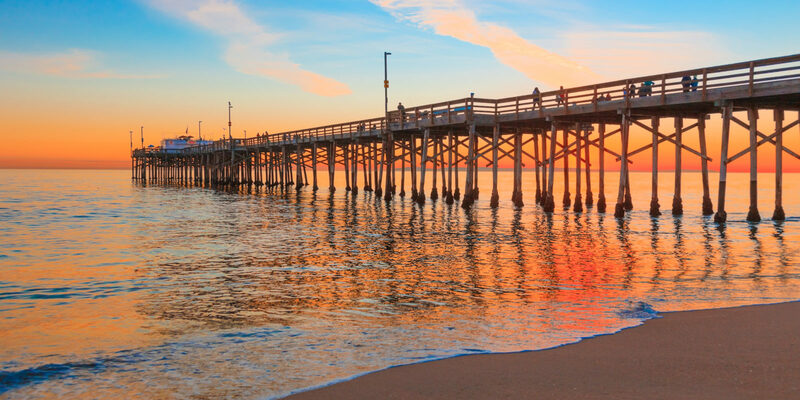 It may seem kitschy and touristy, but this is truly quintessential Newport Beach! From the top of the Ferris Wheel, you have the best view of the city, the glistening beach and the stunning marina. It’s my favorite way to enjoy the sights of this incredible city and get a chance to feel truly at home. 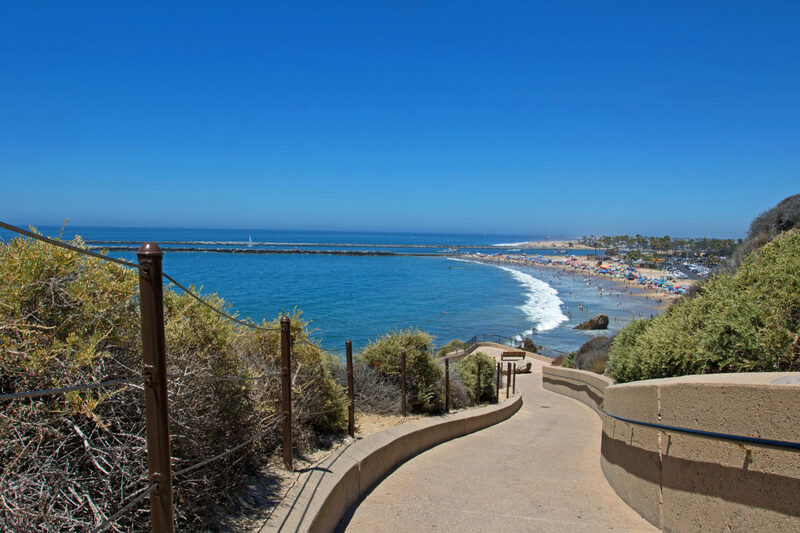 Dana Point and Laguna Beach are also must-visit locales just south of Newport Beach in The OC. The best way to get there is along the CA-1; along the way, you’ll enjoy the most amazing view of the Pacific Ocean. NEWPORT COAST® is a registered trademark of The Irvine Company and is used herein with permission. Marriott’s Newport Coast® Villas is not affiliated or associated with The Irvine Company. Jeanne L., is a writer living in Los Angeles, California.